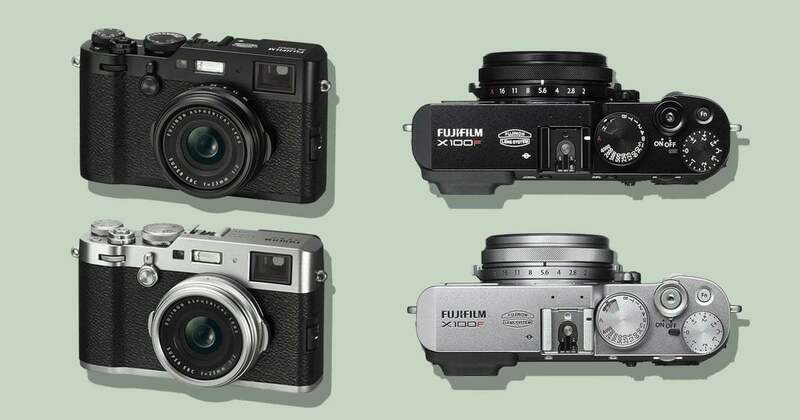 Even as a professional photographer, I’m always on the lookout for the best compact cameras. I love the convenience of having a camera in my pocket, ready to capture a high quality image. 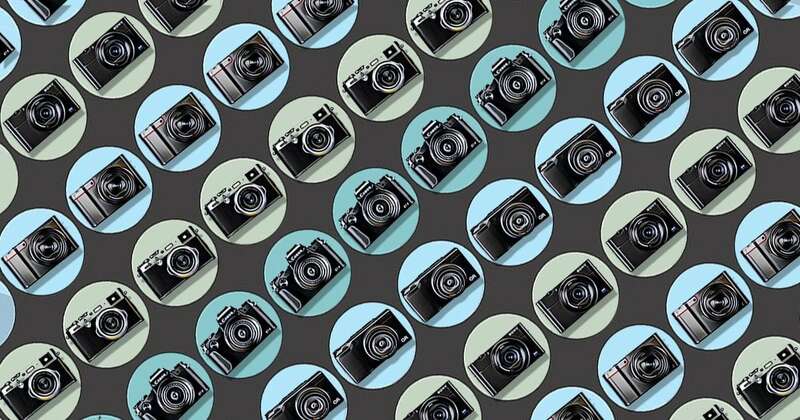 Despite the advances of smartphone cameras in recent years, a handful of compact cameras still have an edge on them when it comes to taking photos. Whether that’s the ability to shoot in RAW, longer zooms, faster operation, better low-light capabilities, or simply better ergonomics, there’s still a good reason to buy a compact digital camera in 2019. If you’ve got thousands of mediocre images just sitting idle in your mobile phone, maybe it’s time to consider upgrading to a compact camera system, and really investing in your memories this year. There are several formats of ‘compact camera’ or ‘point and shoot camera’ on the market in 2019, but to keep things simple for these reviews, I’ve defined ‘compact’ as anything you can fit comfortably in your jacket pocket. Value for money – if you want cheap compact cameras, you’re better off sticking to your smartphone, (or check out the best cameras under $500 or the best compact camera under $200), since the quality of the final image will be similar. You’ll need to invest a little more to get better results, but the cameras below represent excellent bang for your buck. Ease of use – for those used to using a smartphone for image capture, the best pocket cameras need to be as simple to use, but still offer expanded functionality. 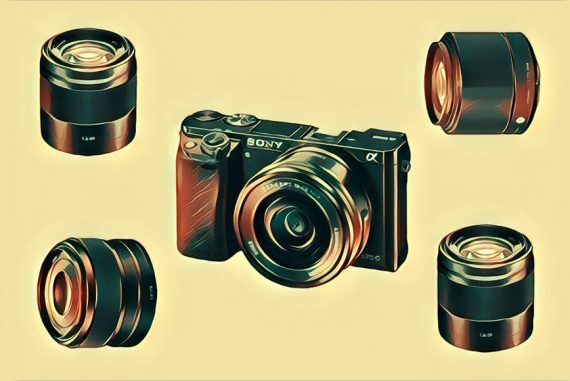 Functionality – the compact cameras need to have useful functions that are not offered by smartphones, or be able to perform functions better than smartphones. Fun factor – slightly vague I admit, but all the top compact cameras are inherently fun to use – if they’re not, we may as well stick to our trusty smartphones! [Locker] The locker [id=19409] doesn't exist or the default lockers were deleted. I’ve included some videos on each camera that I think you’ll find useful – be sure to check out the other videos of each respective YouTuber. Panasonic is the company that pioneered the integration of compact cameras with zoom lenses. 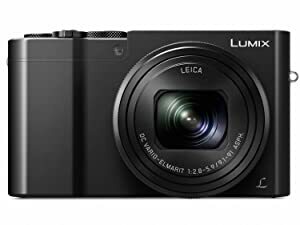 The 10x zoom on the Panasonic Lumix DMC-ZS100/TZ100 may not impress, but what it lacks in zoom length, it makes up for in image quality and functionality. Since its name is quite a mouthful, let’s refer to it simply as the Lumix ZS100 from now on! With that coveted 1 inch, 20 megapixel sensor, images out of the Lumix ZS100 are vivid and sharp much like its predecessors. One main area where it steps ahead though, is in low light, where high ISO performance is excellent. I shot handheld in low light at ISO 3200 with no problem whatsoever. Even when zoomed in to 100%, images are crisp, clear and natural looking. You can of course raise the ISO much higher (up to 25,600) for those times when capturing the shot without a flash is more important than a bit of noise on the image. The menu system on the Lumix ZS100 was logical, but I did miss a dedicated ISO dial or button. This can be rectified by remapping one of the other physical buttons to handle ISO, and this can be set once and for all using the custom menu. The only other issue I had when reviewing the Lumix ZS100 was the lack of grip on the back of the camera body. The camera looks great in all metal, but it’s a little slippy, and adjusting the controls with one hand is pretty much impossible. Another neat feature of the Lumix ZS100 that’s not commonly found on these small cameras is Post-Focus, which allows you to choose the focal point of a picture after it’s taken. By using the gorgeous 3” touchscreen LCD, you can tap to select a foreground or background element that you want in focus (highlighted by ‘focus peaking’), long after you’ve shot the picture. Whilst this function may have limited usage, it’s great fun to experiment with, and takes full advantage of the depth of field available to the f/2.8-5.9 Leica DC lens. Check out the video below to see it in action. 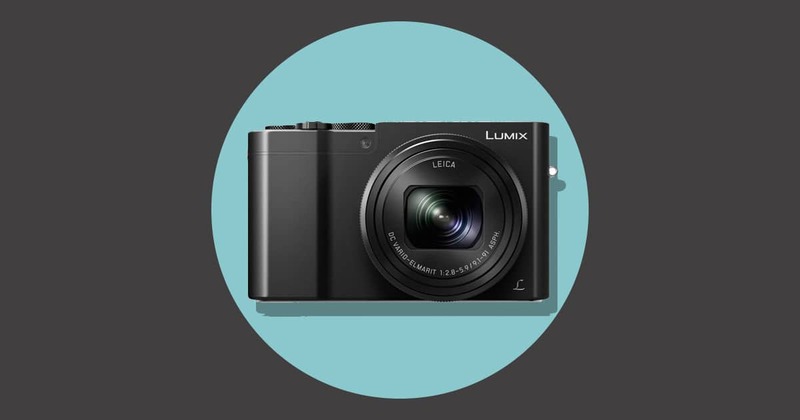 The 10x zoom range is equivalent to 25-250mm, making the Lumix ZS100 a great travel camera. One thing to note is that the aperture at 250mm will reduce to f/5.9, meaning you’ll need adequate light to get the shot. To aid with this, 5-Axis Tilt Correction helps to suppress blurring, usually caused by handheld shakages when shooting with a zoom. Another stand out feature of the Lumix ZS100 compact camera is something called 0.1s Depth from Defocus (DFD) Autofocus technology, which gives incredible AF performance, particularly in Continuous AF. Thanks to 4K video recording and burst mode, you can capture 30 fps video, then select the exact video frame you want to extract to convert into an 8 mp image. Using this in combination with the DFD, it’s pretty hard to miss the shot you want! ‘Light Composition Processing’ which increases the dynamic range at night, wi-fi, and in-camera RAW development are other smart features, but the main selling point of the Lumix ZS100 compact camera is the ‘1 inch sensor advantage’. At this price point, it really is unbeatable. 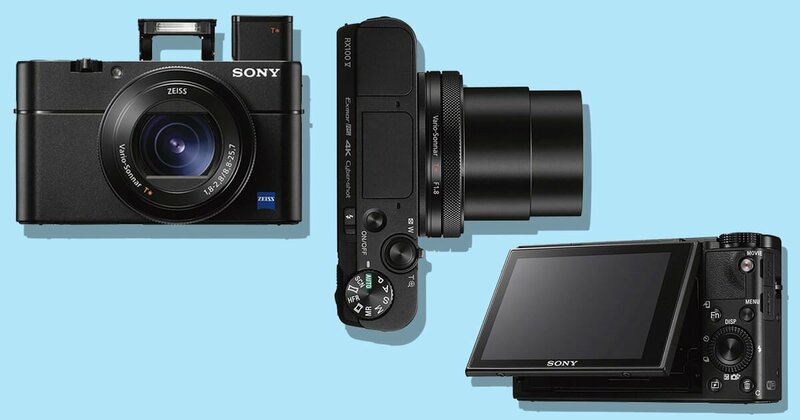 Let’s start by abbreviating this one to the Sony RX100 V, a camera that’s been in the news ever since its release. The RX100 series of cameras with their stellar image performance in a compact camera body has been hugely popular among both professional and amateur photographers. With the fifth version of this incredible camera, Sony has really pushed the envelope with what’s possible with a camera that can fit (easily!) in your pocket. When researching the Sony RX100 V, you’ll no doubt come across thousands of positive reviews of every previous iteration of this camera over the years. Each one is obviously priced lower than its successor, but don’t be swayed – this fifth version is definitely the one to get. The brand new Sony RX100 VI is now available here, but unless you absolutely need the long range of the new lens, I’d still recommend saving some money on the v5 model. Also, check out the v4 model if you’re looking for a great compact camera for vlogging. Up until now, the RX 100 compact cameras have used ‘contrast detection autofocus’, which is fine for most circumstances but does have its limitations. The Sony RX100 V is the first to offer both contrast AF and phase AF, making full use of 315 AF points which are spread liberally around the viewfinder. When combined with the frankly ludicrous 24 fps with autofocus and auto-exposure tracking, it’s nigh-impossible to miss a shot! Just read that again – 24 frames-per-second! That’s the same as shooting video!! Thanks to the 4K video capture, 8MP stills can be extracted from the footage and stored as separate files. Using the 1/32000 sec. Shutter speed also means you can capture some silky smooth slow motion video footage. The still images out of the Sony RX100 V are excellent, with sharp, contrasty and vivid JPGs, and RAWs that retain a surprising amount of data. Dynamic range is excellent for a compact camera of this size, and the 1 inch sensor offers more than adequate latitude for those who like to experiment a little with RAW files. I don’t want to spend much time on video when we’re talking about the best compact digital camera for stills, but it’s worth mentioning that the Sony RX100 V is the best small camera for vlogging that I’ve come across. By using the beautiful 3” 180° LCD screen, you can see yourself as you shoot a video, and thanks to the amazing autofocus, the camera locks onto your face, then switches to the background in a millisecond. Sony calls this the world’s fastest hybrid AF system, and at 0.05 secs to lock on to the subject, I’m not arguing with their claim! You really have to see it to believe it – it’s the fastest auto-focus on any compact camera in 2019, and most likely the fastest on any camera in existence! Check out the video below to show just how insanely fast this compact camera can detect a subject in the frame and focus on it. Size-wise, it’s unlikely you’ll ever need a camera bag or even a camera shoulder strap for this dinky little point-and-shoot, although I’d recommend using a wrist strap of some sort as the surface of the camera is rather slippy. Despite its pocket size, the Sony RX100 V features a handy pop-up OLED electronic viewfinder (EVF). Don’t expect performance like the best mirrorless cameras on the market, but it’s a nice touch in a market that typically doesn’t offer many compact cameras with viewfinders. There’s also a pop up flash, which can get you out of darker situations. On-camera flashes always deliver sub-par results, but thankfully the f/1.8-2.8 aperture combined with excellent high ISO performance (up to 12,800) should mean you’ll never have to use it! As for usability, the Sony RX100 V is noticeably faster than the IV, and the logical (if somewhat deep) menu system remains largely unchanged. Compact cameras with WiFi are pretty common at this price point, but the addition of NFC is a nice touch for smart devices that support it. 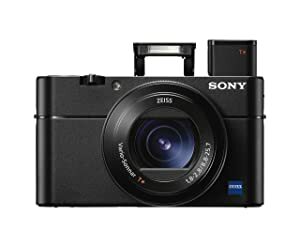 Speaking of price, a $1,000 camera (see the latest price here) may not be top of the list for many photographers, but for those who appreciate this much technology in such a small body, the Sony RX100 V is pretty good value for money. My only gripe with the Sony RX100 V is that it’s still missing touch screen. Having a tilting LCD which isn’t touch screen is a bit of a step backwards in my opinion, and it’s a real shame Sony hasn’t added this functionality to an otherwise near-perfect camera. Once you’ve got over this though, the Sony RX100 V packs an incredible amount of technology into a slimline, lightweight compact camera body. It looks and feels amazing, and the unbelievable autofocus performance combined with impressive image quality make this little powerhouse and gold standard of super-fast compact cameras this year. 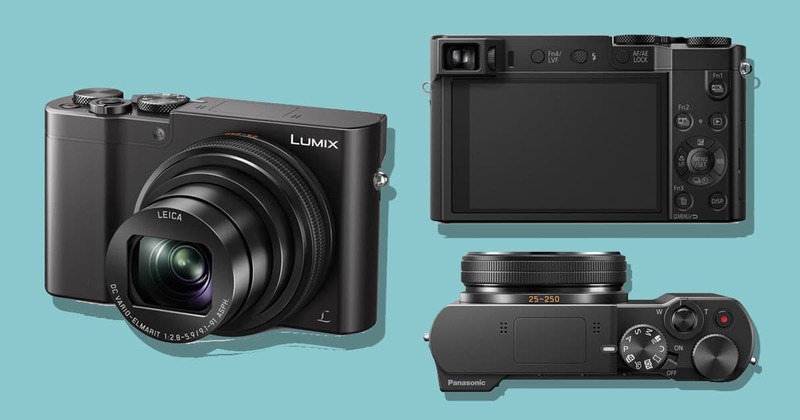 It feels a bit weird for me to be including a camera released in 2007 in this roundup of the best compact cameras… here in 2019! 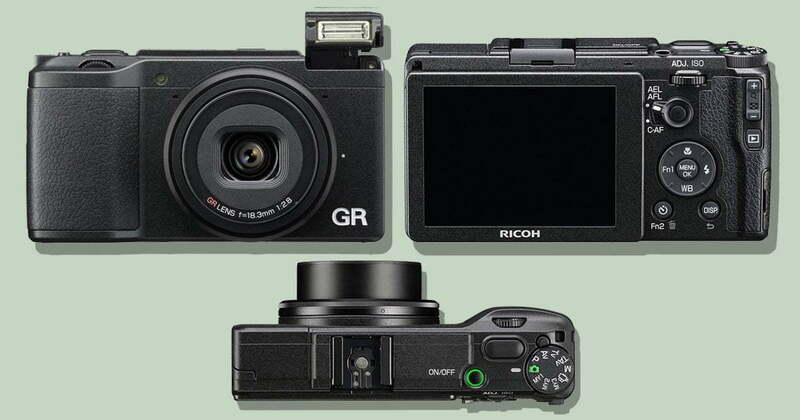 I’m also pretty confident that Ricoh will be releasing version III of this hugely popular compact camera this year, but in the meantime, let’s talk about the legendary Ricoh GR II. This is a compact camera that’s developed a cult status among street photographers for a variety of reasons. Whether you’re a street photographer or not, I still think you should still seriously consider the Ricoh GR II, due to a number of features that are truly unique. Before we explore these specialist features, let’s look at the basics – theRicoh GR II builds off a 28mm equivalent f/2.4 lens and APS-C CMOS sensor with 16.2MP. Although you can still achieve bokeh if shot up close to your subject, shallow depth of field isn’t what this curious compact is all about. Then there’s the autofocus and continuous burst mode – I mean, it’s quick, but offers nothing like the blazing speeds of the other compact cameras on this list. 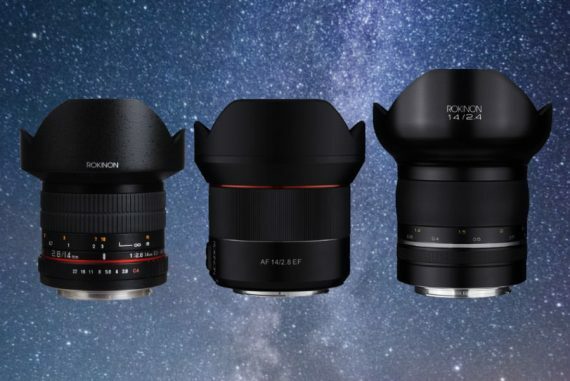 The ISO range is also sub-standard, ranging from 80-1600 – it’s certainly not a camera you can shoot handheld at night without the built-in flash. The Ricoh GR II for many is the best pocket camera, easy to carry around, ruggedly styled in magnesium alloy and very easy to use, but surely there’s more to this compact camera that many have named ‘palm-sized perfection’…? Let’s start with the image quality, which actually remind me of Leica files – rich, contrasty, with a unique look which is hard to quantify in words. There’s definitely something that Ricoh as a manufacturer of printers, photocopiers and fax machines has been doing differently with their imaging to other camera brands…. and it shows. Despite the camera being very simple to operate and the menu system a breeze to navigate, the customization levels offered by the Ricoh GR II are second to none. You can literally customize anything on the camera, all the way down to switching off the tiny dial light! On stealth usage, the operation of the Ricoh GR II is completely silent, and thanks to its solid hand grip that allow it to be held and operated largely one-handed, shooting candid photos of your subjects is easy. Another hugely useful customization feature that I wish other camera companies would implement is the ability to rename custom settings. For street photographers or those who like to zone focus, the Ricoh GR II offers the handy ability to set a predetermined focus distance, then switch from autofocus to manual zone focus with the push of a button. As for its pièce de résistance (which I only discovered thanks to the video above), the Ricoh GR II hides away a feature that isn’t actually well known by most owners of this camera, but it’s a feature that’s truly unique, and actually very useful too. Since the Ricoh GR II can shoot RAWs in DNG format, you can use the built-in wifi to transfer your images to a smartphone or tablet, retaining their status as a RAW file. What this means is that you can use Lightroom Mobile or any other RAW image editor on your mobile device to edit your actual RAW files, then export them as JPGs and publish them… all without the need for a computer! As far as I know, this is the only compact camera that offers this functionality – it’s kind of ironic that not even Ricoh makes a song and dance about it, despite its uniqueness. At less than $600 (see the latest price here), this is one impressive compact camera that has stood the test of time, and deserves to be on the wish-list of photographers of all standards. As with all popular older cameras, my advice would be to snap one up before it goes out of production completely. After writing this roundup of the best small digital camera models so far in 2019, there’s one camera that’s hanging in my living room on display for all to see… and this is it. I wrote last year why I thought this Fuji was the best travel camera of the year, and it’s been reviewed in depth here by a photographer far more skilled than myself too. In a market saturated with average compact cameras for travel, this one truly stands out. For those of you who still haven’t heard about the Fujifilm X100F, let’s have a closer look at why it’s still one of the best compact cameras available. As I mentioned at the start of this article, image quality should be top of the list when researching compact cameras. If the final image doesn’t look notably better than a photo shot with your smartphone, there’s little point wasting your money on a dedicated camera. Thankfully the images out of the Fujifilm X100F are nothing short of incredible. You can see a selection of photos I took whilst on holiday with this camera here. I’ve shot many different cameras over my years as a photographer, but the ones that really resonate with me are the ones that produce images with a certain something else – that ‘X’ factor (pun not intended!). 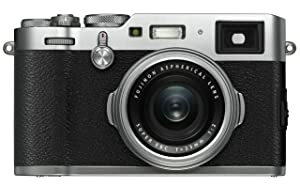 With the Fujifilm X100F, a combination of Fujifilm’s legendary imaging know-how, the unique f/2 23mm (35mm equivalent) lens, and 24MP X-Trans sensor deliver rich, contrasty images with skin-tones that are second to none. White balance on my Fujifilm X100F is actually even better than the $2,000+ pro DSLRs I use to shoot weddings. When shot wide open at f/2, bokeh is beautiful, with subject separation normally only reserved for cameras with much larger sensors. Image quality straight-out-of-camera on the Fujifilm X100F is actually so good that it’s one of the few cameras I’m comfortable to shoot JPEG-only. When I want the increased dynamic range of a RAW file, it’s nice to know that the RAWs contain enough data to push/pull every spare pixel. I spoke before about compact cameras being ‘fun to use’, and nowhere is this more apparent than with the Fujifilm X100F. Aside from its gorgeous retro design which begs to be picked up, the manual dials and minimal layout encourage fast muscle-memory – you quickly develop a kinship with this camera. Being able to adjust the aperture using the lens ring is also a unique feature which will appeal especially to fans of rangefinders. 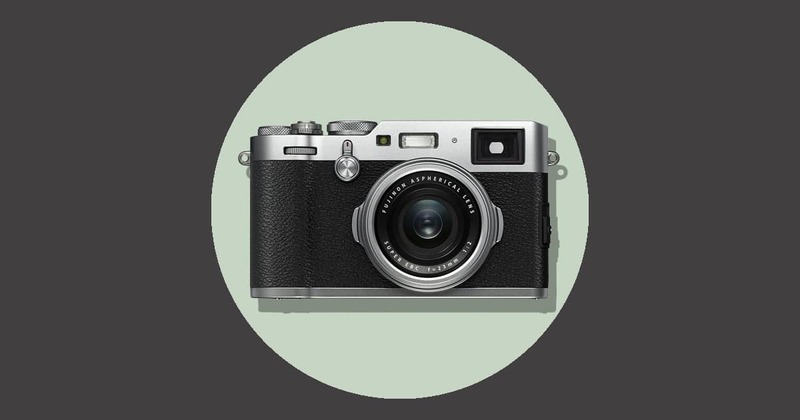 The tactile, silky smooth click-click of every knob, dial and button on the Fujifilm X100F add to the whole experience too. I owned previous models of the X100 series, and will be the first to admit that AF performance was terrible. Whilst the AF of the Fujifilm X100F won’t win any awards, coupled with face-detection and a much speedier start up time, I’m missing far less shots than before! The only real gripe I have with this luxury point and shoot camera is its menu system… or all Fujifilm cameras’ menus in general. I still can’t work out the custom menu setup, despite reading the manual cover to cover! Luckily, when you’ve dialed in your main settings, there’s really no need to delve in to the custom menu again. The only reason you may want to try your luck is with the film simulation settings, which are all way better than any other compact camera systems on the market. Fujifilm’s film stock know-how has clearly come into play here, with film simulation that’s simply unrivaled… and a whole lot of fun. 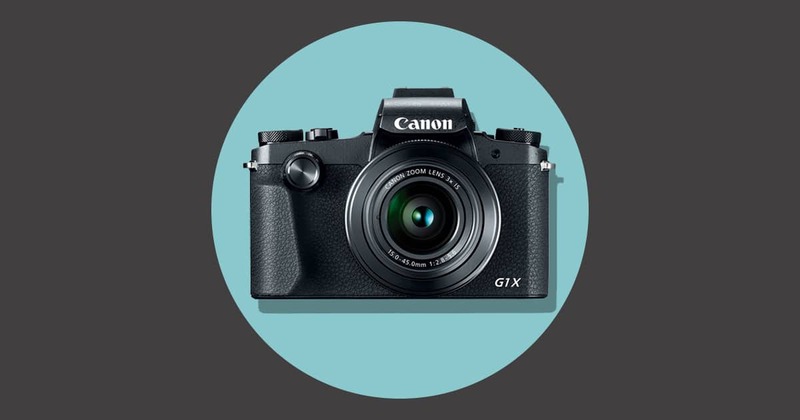 The PowerShot G1 X Mark III is Canon’s latest high-end compact digital camera, released recently and quickly gaining popularity as the new flagship PowerShot G-Series. It’s also the largest sensor Canon has ever fitted to a fixed-lens camera. 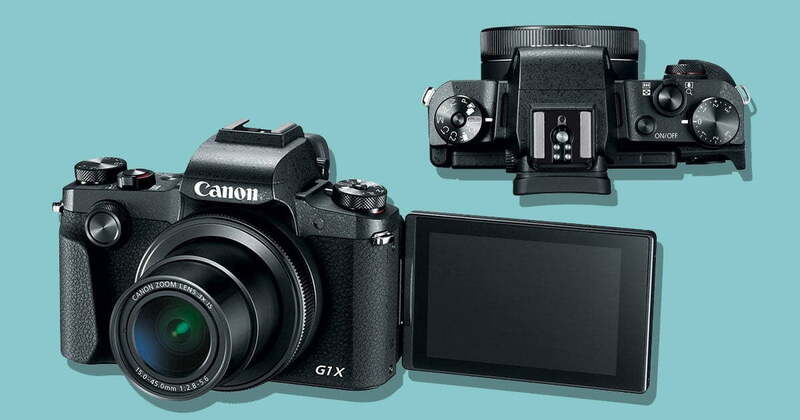 The 24MP APS-C sized sensor may still struggle to compete in low light with the compact cameras with large sensors mentioned earlier in this roundup, but the Canon PowerShot G1 X Mark III still offers excellent imaging performance. The latest-generation sensor combined with Dual Pixel autofocus delivers sharp, accurately focused images with signature Canon colour and decent noise performance at higher ISOs (100-25600). A 24-72mm equivalent zoom lens has been crammed into a pocketable, robust body that’s a pleasure to hold, thanks to a cleverly placed hand grip. There’s also weather-sealing, a useful feature not seen on any of the other best compact cameras on the market. As with all compact cameras with such a small form-factor, the ability to hold them easily with one hand is essential for both a steady shot, and peace of mind whilst photographing on the move. Thankfully the Canon doesn’t slip up in this regard. One slight let down of the Canon PowerShot G1 X Mark III is the rather standard f/2.8-5.6 lens, which is wide enough to offer adequate subject separation when shot wide open at f/2.8, but quickly proves rather limiting in low light. As for physical dials and buttons, the Canon PowerShot G1 X Mark III does a great job at offering everything without feeling too cluttered. The flip-out screen is a nice addition, and Canon has used its latest touch-screen technology to ensure controls are responsive and fast. Compact cameras with flip screens are getting more and more common, but they’re still not available on every model. I’m a huge fan of flip screens, since they help you take creative compositions without breaking your back! A nice touch on this Canon is the ability to use the touch screen to position your AF point whilst your eye is still on the viewfinder. I should also mention, having an optical viewfinder on a compact camera is somewhat of a rarity too – many photographers will appreciate its inclusion here. 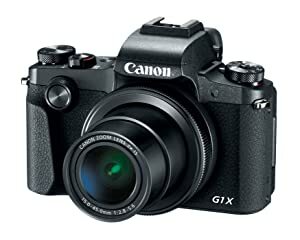 In-camera RAW conversion, wifi, macro mode, time-lapse movie mode, leaf shutter, built-in ND filter and the numerous other functions of the Canon PowerShot G1 X Mark III are nice, but not truly innovative on a compact camera at this price point. Then there’s the sub-standard battery – you’ll be lucky to get 200 shots out of one charge, which is a big disappointment. So how about that old elephant in the room… the price! At time of writing, this Canon is one of the most expensive compact cameras in its class (see latest price here). However, since it’s so new, I’d recommend waiting a few more months to see if the price drops below $1k, which is more reasonable for a camera of this caliber. So, why would I round off this post on the best compact cameras of the year with a camera that has so many apparent weaknesses? Well, aside from the image quality that really is up there with the best, the Canon PowerShot G1 X Mark III was the most pleasing to hold of all the compact cameras reviewed here. Thanks! Who’s Laurence and Jessica?! I was looking for features the basic compact cameras and this helped a lot. Not sure if it fits in your classification as compact, but I like my Panasonic Lumix GX85. Although one can change lenses, it is perfectly possible just attach a travel zoom like 14-140 mm, while keeping a good prime in your ‘back-pocket’ like 20 mm/1.7 just in case. – Intellectually and technically, the Canon is appropriate because it fits well in hands, looks like a “mini DSLR”, it runs like my DLSR, it has an usable zoom, It can be put in one of the pocket of any vest and is a little bit weather sealed. But it eats battery, the lens seems to hop toward the subjects (you’ll be caught to take a picture and people will “freeze”), it’s a little heavy and it asks for light (or high iso). – Emotionally and technically, the Fuji is the good one because it’s damn appealing, it fits correctly in hands, it offers plenty of new fields of photography (flash at 1/1000 or more, max shutter a 1/32000, …), it offers a good apperture, it has a optical and electronic viewfinder, it can be put in one of the pocket of any vest… But it’s a bit heavy and 50mm or 28mm add ons need even more money. – Logically the Ricoh is the better because it’s far cheaper and offers a large sensor for a tiny volume (it fits in any pocket except my Lewis 505 ones), it fits in hands… But it’s very little and rather ugly, shooting everything at an equivalent of 28mm may quickly be boring and can quickly creates weird perspectives if you don’t take care, especially with portraits. No one is “perfect” and all need renunciations. Tough choice did you say? “Impossible” could be a better word. It’s the first time I consider to draw the short straw! – GX1M3: versatile (it even has the weather sealing, whatever how effective it can be), articulated screen, very good picture but deceiving low light abilities. haha tough choice isn’t it! All my advice is in this article Georges, so I’d recommend picking up each camera and seeing which one feels the best in your hands. Thanks for catching those typos Alex – all fixed now. Thanks for the interesting reviews above. I would like a pocket camera that will take the best quality street photos possible. I am not concerned about video capability or camera age. If you had to pick just one could you say what it would be? 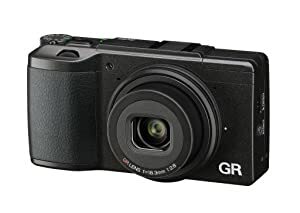 If you mean a discreet camera for street photography, the Ricoh GRII is most popular and a great price. 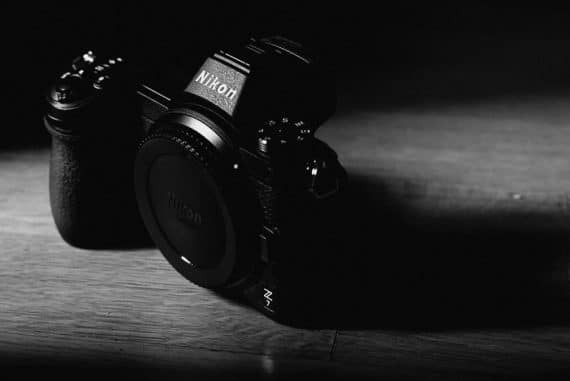 Hi, can you tell me if you revommend the Nikon B500 over the L830 since its newer? Amazon is recommending the newer one. Thank you! I appreciate the article alot! Do you mean the Nikon D500 Bethany?If so, I do recommend it! With professionals and hobbyists leaning toward DSLRs and mirrorless cameras I wonder how many people are still buying point-and-shoots when phones have 16MP cameras in them. What do you think about the point-and-shoot market in the world of smartphones with large megapixel cameras? The market is definitely getting smaller and the compact camera manufacturers will need to keep innovating to keep up with mobile phones. However, for low light photography, a good compact camera will still always outperform a mobile. Kinda interesting that you’ve mentioned 3 super zooms, only one super compact, only one low light capable and one gimmicky android camera. Maybe it would be a good idea to devide this article into a few articles or captions that consider each form factor/usability. Kinda disappointing that there is no other compact / ultra compact mentioned or any other low light or even rugged camera for everyday use (some new waterproof cameras etc). Thanks for the comment Benni! I’ll take your thoughts into consideration next time. Nice write up of the g16. What was the reason choosing this over the G7X when looking for a compact? Hey Stefan. The G7X is another great camera which I almost included on this list, but it’s pushing into entry level dSLR pricing. If you can afford it, I’d definitely recommend it.